Hello, December! 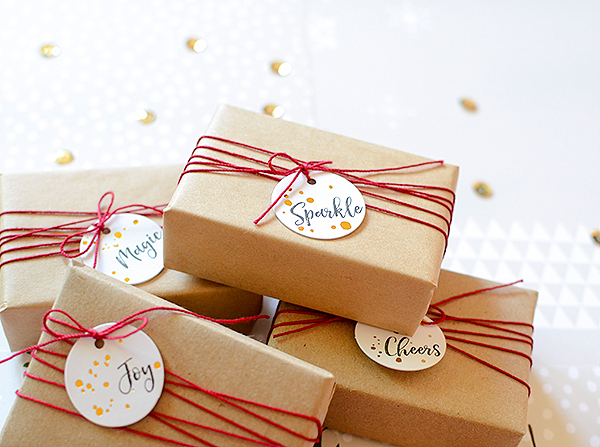 Well, the holidays are happening soon, whether you're ready for them or not (I love this time of year, but it's coming a little too quick for me!). 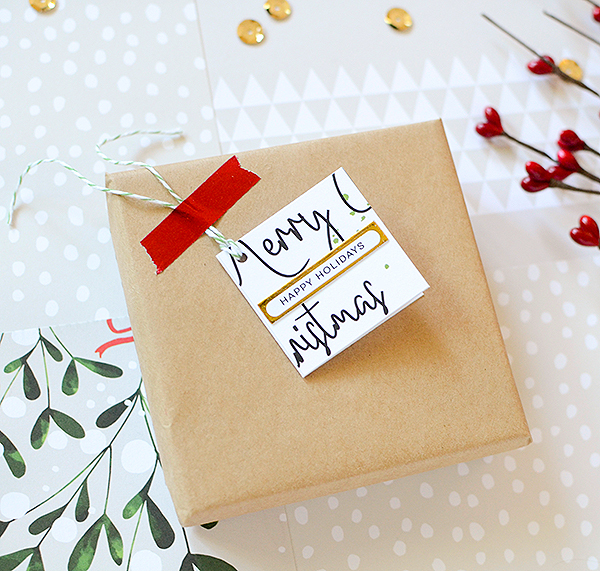 It's time to think about gift wrap. 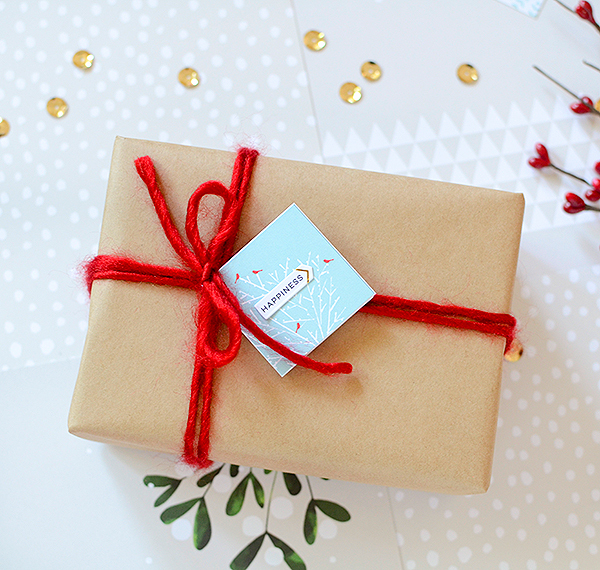 As you might know, gift wrapping is my jam, however, not everyone has the time to spend an hour carefully curating an immaculately wrapped package (even I don't have that kind of time) and the holidays especially leave little time for primping and fussing over perfect presents. 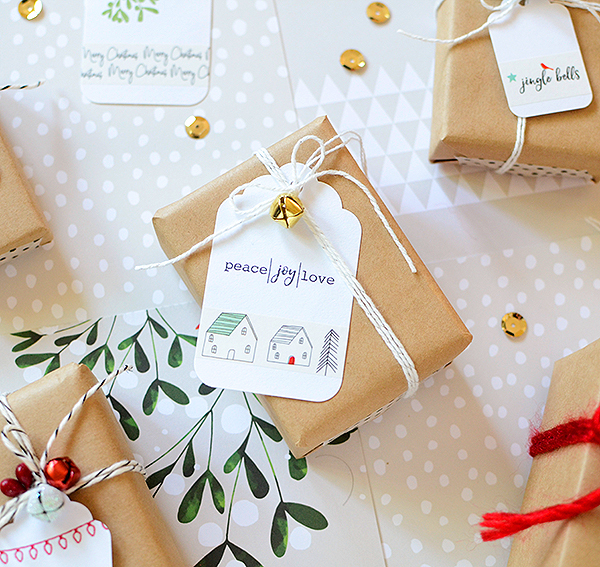 So I've got some quick and easy--but still pretty--wrapped gifts for you today. 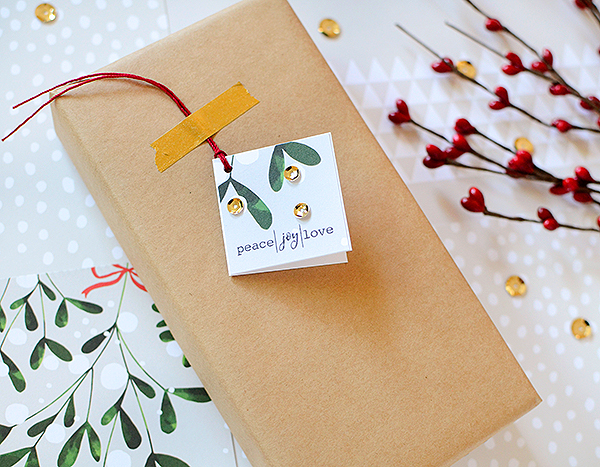 The wrapping, actually, is super easy and affordable since I just wrapped all my boxes in kraft paper. I'll also state that these projects are, for the most part, based on a traditional color scheme of red and green, with some gold, black, and a hint of aqua. It's really straightforward so if the pinks and yellows and anything-goes-at-Christmastime-rainbow-array give you a headache, this is a no-brainer. The stand outs of my packages are the tags. They are ridiculously easy to make. The first lot took about 2 minutes. Seriously. I used 4 round stickers from Pinkfresh Studio's Oh Joy foiled sticker packs and adhered them to 1 1/8" punched card stock circles. I punched a small hole in each one, wound red crochet thread around my boxes and tied on the tag. Done. You can even write a name on the back of the tag because it's white card stock. 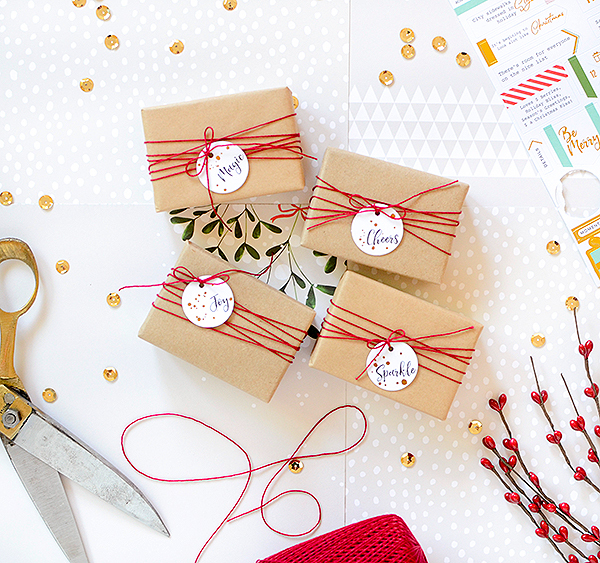 For my next packages, I used the Oh, Joy washi tape and stamps. I love the idea of stamps but I'm not a very patient stamper so I tend to stamp a plain image on a white tag and call it good. So I did just that with these presents. But I added strips of washi tape, too, and that makes a huge difference! 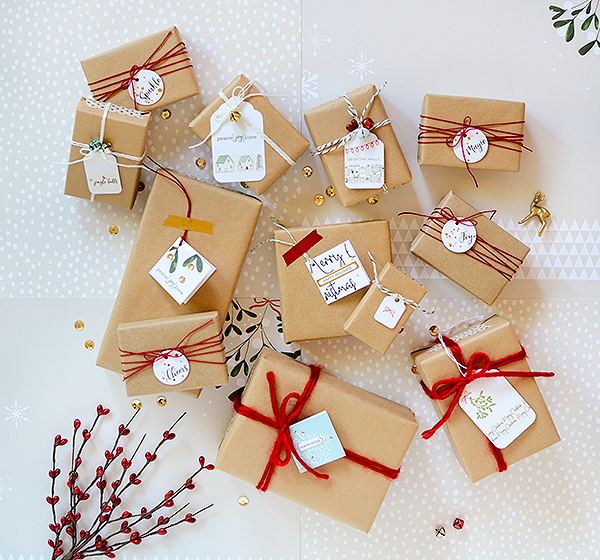 Especially because the washi tape has so many different options. I came up with several tag designs and still have quite a few washi strips left for other projects. 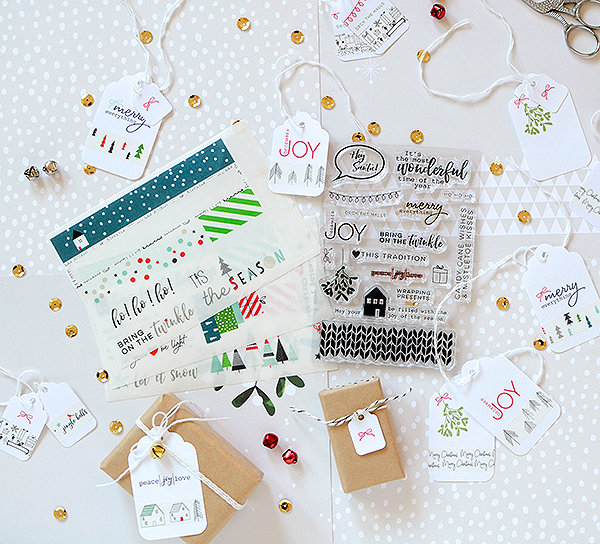 I took Avery shipping tags in assorted sizes and paired a stamped phrase or image with a fitting washi strip. I like the simplicity of these and again, they weren't time-consuming to construct, which is key during the hustle and bustle of the season. 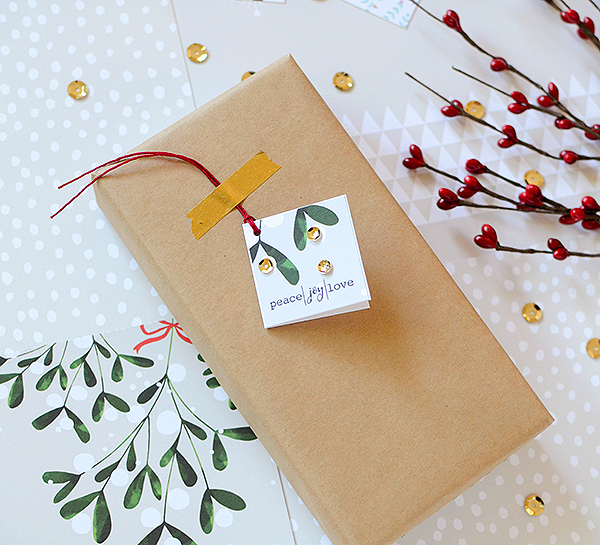 I allowed myself to get a little more detailed on a couple of the packages, like this 'deck the halls' wrap with the berries and bells, but it would be just as nice without them for those who are not as obsessed ardent about wrapping as I am. This was my favorite tag from this bunch. 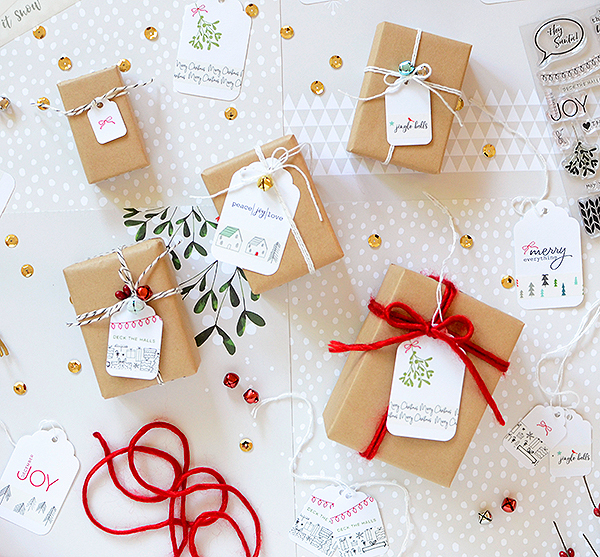 The mistletoe and tiny bow stamps are so cute (that bow especially!!) 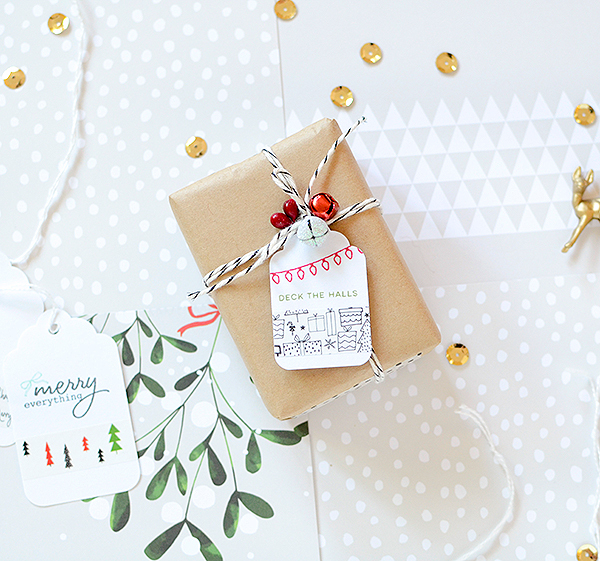 and the classic pairing of them with the black 'Merry Christmas' scrawl washi just makes my heart happy. Soft, fuzzy red yarn was the finishing touch for a homespun wrap. 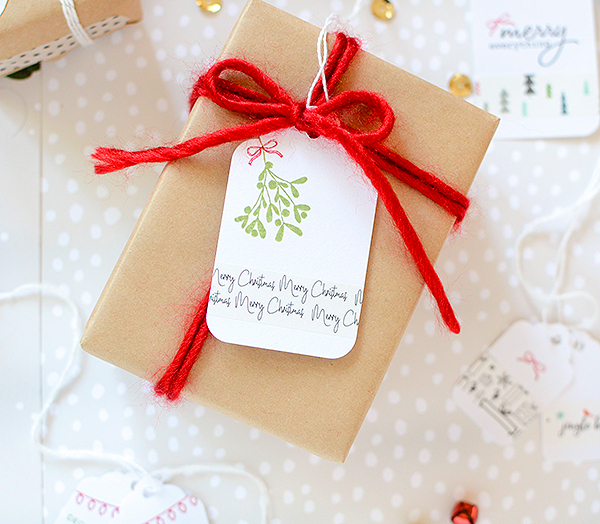 On the very small tags, I even sometimes just used one medium--the washi OR the stamp. 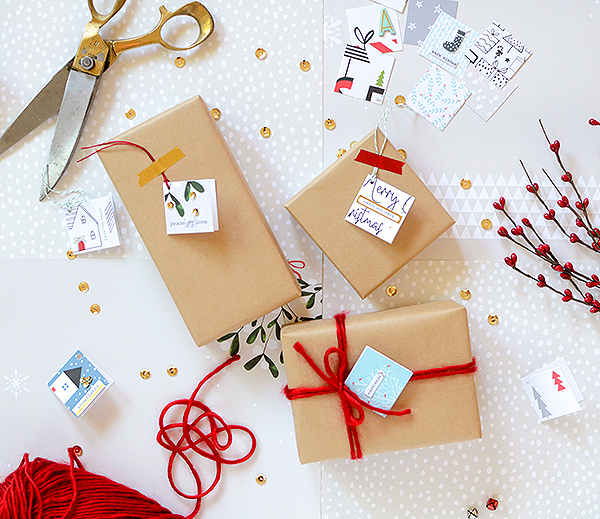 Each make a statement; each are handmade; each took only a minute or two to whip up, complete with twine! 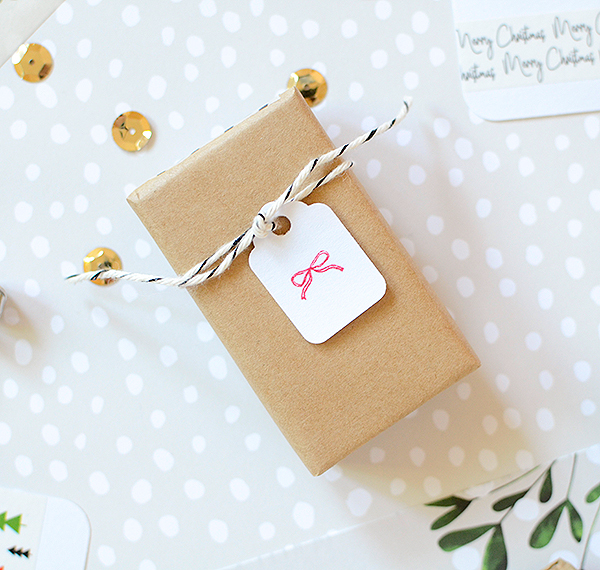 Lastly, I was inspired by Pinkfresh packaging with my next tags. 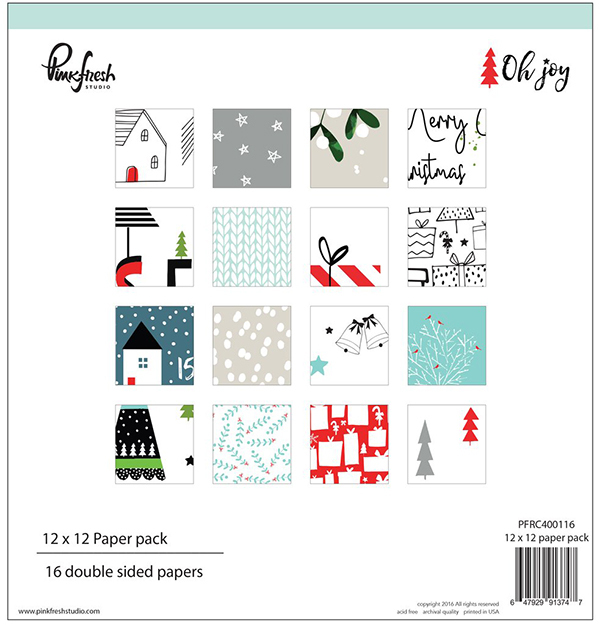 This is the cover that comes in the 12x12 paper pack with a teaser image of each patterned paper. The images are 1.5" x 1.5" and a great size for small tags. 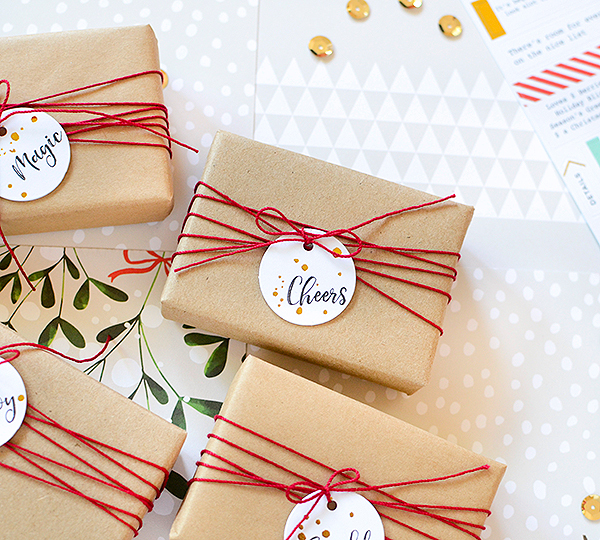 By cutting out each image, it's also an easy way to get a variety of patterns in a minimal amount of time. After trimming all the squares, I decided to adhere each one to a tiny folded card. Admittedly, this took some extra time and if you'd rather eliminate this step, that's fine, too. The back is plain white so there's space for your recipient's name. I used the card because it was different than things I normally make and they really are sweet little cards. A few quick add-ons to each of these tags was all I needed to do to finish them. Some required just a sticker, some a stamp, others an initial using the Oh Joy chipboard alphas. Or tie it on with some trim like this one. Maybe you've got an even better idea. 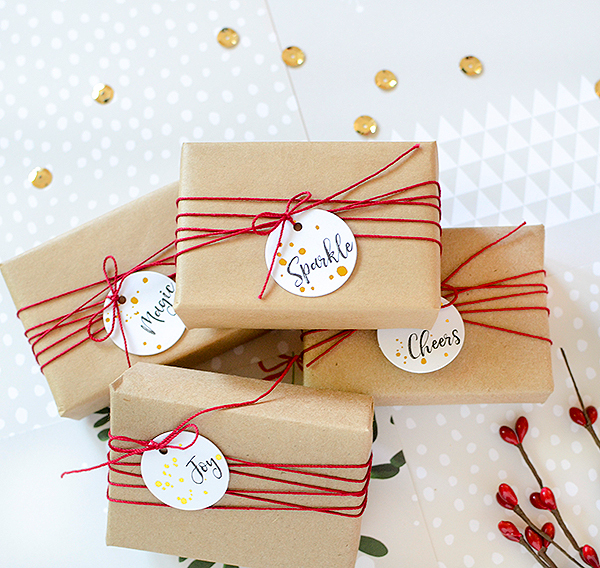 The point is that these are fast and fun, and you can still add a touch of handmade to your gifts, even when you're pressed for time. 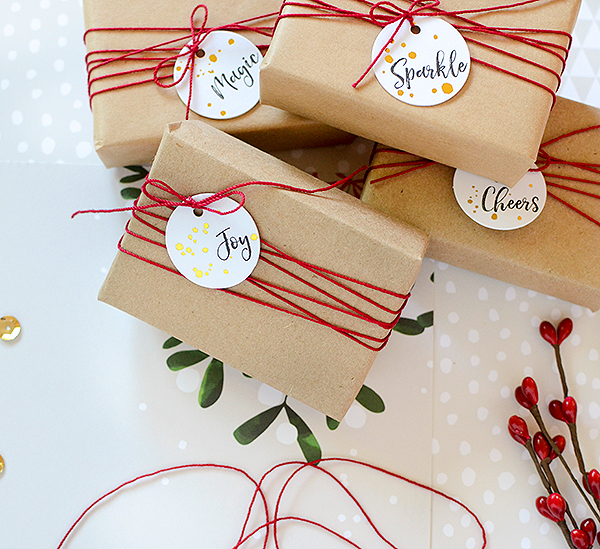 I wish you the best of luck with your wrapping this season...it doesn't have to be a laborious chore--you can have fun with it, too and I hope you do! 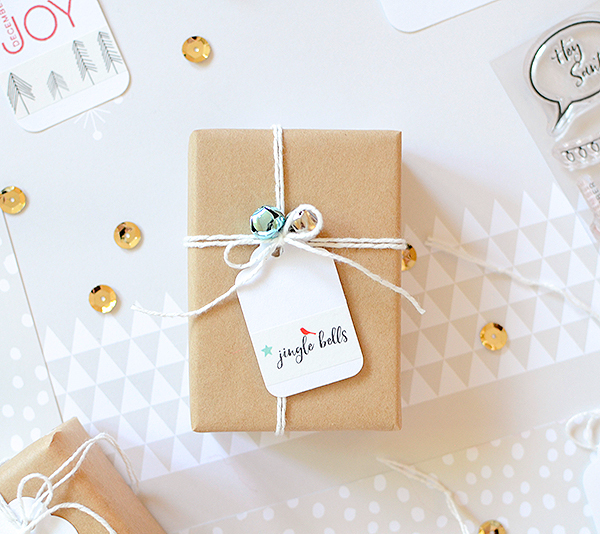 I'll be back soon with more easy holiday wrappings, as well as a peek at what's in the Etsy shop for Christmas!